A US woman has complained of feeling “invaded” after a private home conversation was recorded by her Amazon's voice assistant, and then sent it to a random phone contact ... who happened to be her husband's employee. As first reported by US news outlet KIRO 7, the woman identified only as ‘Danielle’ had a conversation about hardwood flooring in the privacy of her own home in Portland, Oregon. Unknown to her, however, her Amazon's voice assistant Alexa via her Amazon Echo not only recorded a seemingly ‘random’ conversation, but then sent the recording to a random phone contact without being expressly asked to do so. 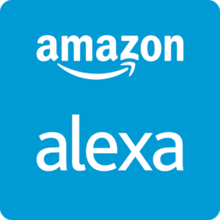 Her Alexa started recording after it registered as hearing its name or another "wake word" (chosen by users). Subsequently, in the following conversation (about hardwood floors), Alexa registered part of the conversation as being a 'send message' request. It is believed that Alexa then interpreted part of the background conversation as a name in the woman’s phone contact list. The selected contact was then sent a message containing the recoding of the private conversation. Amazon has reportedly apologised for the incident, has investigated what happened, and has determined that was an extremely rare occurrence. Amazon is, however, reported to be “taking steps” to avoid this from happening in the future. Amazon’s intelligent voice assistant has made the news in the past for some unforeseen situations that helped to perpetuate the fears of users that their home devices could have a more sinister dimension and / or could malfunction or be used to invade privacy. For example, back in 2016, US researchers found that they could hide commands in white noise played over loudspeakers and through YouTube videos in order to get smart devices to turn on flight mode or open a website. The researchers also found that they could embed commands directly into recordings of music or spoken text. Also, although Amazon was cleared by an advertising watchdog, there was the case of the television advert for its Amazon’s Echo Dot smart speaker activating a viewer's device and placing an order for cat food.